KENMARE Resources, the mineral sands producer, reported a 34% decline in total shipments for the first quarter of its 2019 financial year owing to Cyclone Idai which devastated parts of Mozambique, as well as Zimbabwe. From a production perspective, Kenmare was off to a strong start. Heavy mineral concentrate totalled 358,700 tonnes compared to 311,000 tonnes in the first quarter of the previous financial year – a 15% year-on-year increase. However, shipments totalled 176,500 tonnes (2018: 267,200 tonnes). Unscheduled maintenance work also accounted for the lower shipments. “We are deeply saddened by the devastating effect of Cyclone Idai on the people of central Mozambique and commend our employees initiative to support the relief effort,” said Michael Carvill, CEO of Kenmare in the firm’s first quarter production report on April 11. 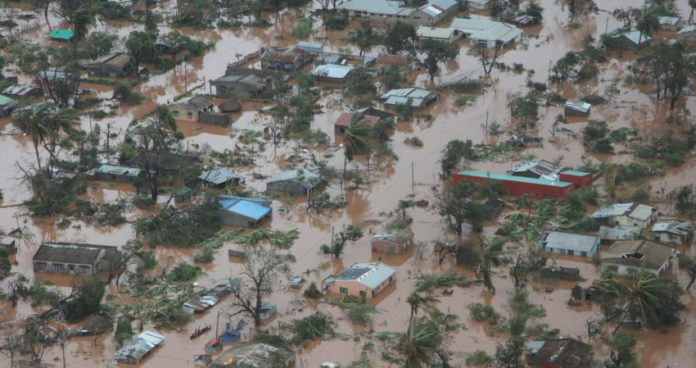 Cyclone Idai had taken about 1,000 lives at the last count of which about 600 were Mozambicans, and the balance in Zimbabwe. More than two million people – about 1.85 million in Mozambique – are thought to have been affected by the cyclone. Commenting on first quarter demand conditions for Kenmare’s mineral products, Carvill said that titanium feedstock markets strengthened. “We expect ilmenite prices to continue to rise in (in the second quarter), driven by increasing Chinese demand,” he said. Ilmenite as well as zircon – known collectively as mineral sands – are used in the manufacture of paint pigments as well as a number of other industrial uses such as the ceramics sector.